i’m obsessed with this yummy japanese dessert! 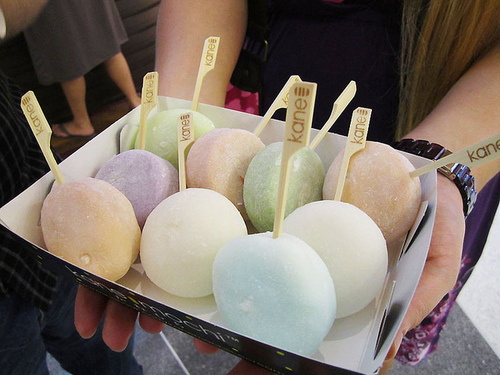 mochi icecream is a ball consisting by pounded sticky rice cake on the outside and an icecream filling on the inside. you can choose from many flavors, and last night i had some with raspberry, lemon and chocolate. i’m not sure where you can get it, but probably in most asian markets or restaurants. go try it!